So often we don’t know how good we have it until things turn even worse. It was 1977. My friend Mike & I were taking a 30 day car trip across the US west. It was a great time. We weren’t aware how lucky we were to be affluent, young, unattached and loose in the wild. We did not have the benefit of hindsight that would enable us to realize how magnificently happy we were. Or should be. Mike was our navigator. His route took us through the maximum number of National Parks, monuments and forests. When we came to the rim of the Grand Canyon he took a medallion out of his pocket. It was a good luck piece he carried. I don’t recall the talisman’s back-story but I do remember him hefting it in his hand as he explained that life hadn’t been going well for a number of years now. And that this dull bronze disc somehow was the jinx, the symbolic source of those woes. And I also can’t imagine or recall what possible, trivial problems he could really have had. Twenty years old; fully supported in college; free to pursue every interest and whim. It’s difficult today to feel compassion but I’m sure he was sincere in what he felt. 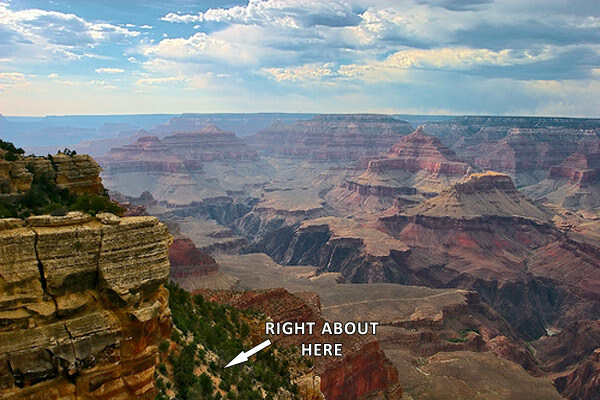 There we stood on the edge of the largest precipice in the world. Mike made a small ceremony of it, wound up and flung the cursed object up and out. Years later we would joke that we needed to go back and find the damn thing. 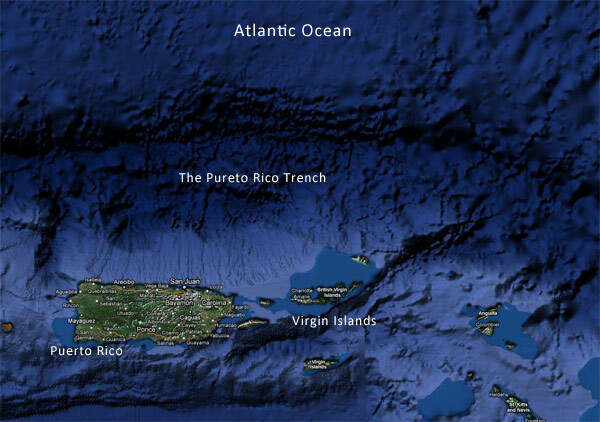 The Puerto Rico Trench is the deepest point in the Atlantic Ocean. I was sailing over it, along with the rest of the crew aboard S.V. 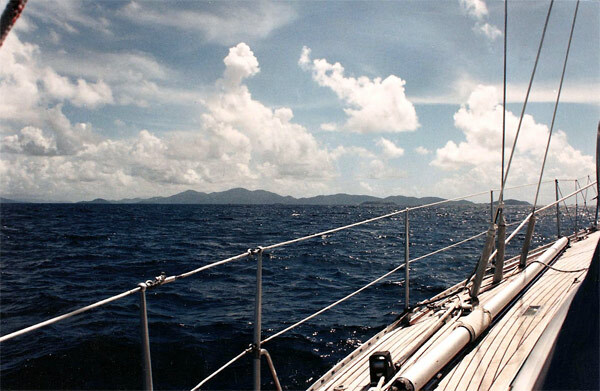 Come Along, a 42 foot sloop, on our way to the US Virgin Islands. I was still getting over my divorce — first wife — and was headed to the Carib to spend a six month stretch living on board. It was my father’s boat and he offered me her as a place to regroup. It was an unqualified, generous gesture on his part to lend me his beloved yacht but he did have two secondary motives. The first was that he could fly down to make use of the boat in stunning waters now and then while having a trusted and competent caretaker watch over the vessel in his absence. The other motive was that before he had offered the boat as a place of healing I had told him I was going to build a cabin in Colorado and try living off the land in the high country. The specter of his having to tell my mother that he had let me go off on this clearly suicidal adventure inspired him to conceive the win-win alternative. Sailing over the trench is no different from sailing through any other stretch of ocean. Nothing other than the navigational charts indicate the magnitude of the depth beneath the keel. Our depth sounder stopped returning readings once we left the continental shelf where the depth exceeded 600 feet so the 28,000 foot abyss of the trench is for all practical purposes an abstract notion. I had studied the charts before we left so I knew when to go to my cabin and retrieve the ring. There is no such thing as a good divorce and this one was no exception. I recall standing at the top of the companionway with one eye on the sat-nav and one eye on the waves. At my arbitrarily predetermined point I wound up and winged the wedding ring out through the rigging into the deep. I like to think that it is still falling.